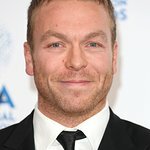 UNICEF UK ambassadors and supporters – including Sir Chris Hoy, Andy Murray, Sir Roger Moore, Ewan McGregor and Emma Bunton – are calling on the UK Government to do more to reunite unaccompanied refugee children in Europe with their families in the UK. Last week, 16-year-old Bilal joined forces with Unicef UK and Citizens UK to call on the Home Office to redouble efforts to help lone children, many of whom are stranded, following months in dangerous camps across Europe. Many of these refugee children have a legal right to be reunited with families who are waiting for them in the UK. Unicef Goodwill Ambassador Sir Roger Moore said: "As a Unicef Goodwill Ambassador I’m very proud to be supporting Bilal’s powerful call to the home secretary and hope the UK public will add their voices to the campaign. We have a responsibility to do all we can for these children, and the sooner we can reunite them with their loved ones the better. Further support came from singers Jessie Ware and Rita Ora, actor and author David Walliams, actor and campaigner Vanessa Redgrave, actor and director Ralph Fiennes, actor Keeley Hawes, television personality Cat Deeley and model and business woman Claudia Schiffer. Bilal was finally reunited with his older brother in the UK at the end of March, after travelling for more than a year from Syria. As the conflict in his homeland intensified, Bilal was forced to flee his home without his parents, who had to stay in Syria to care for his elderly grandparents. After crossing the Mediterranean from Turkey to Greece, Bilal eventually made it to Calais, but he spent seven months in the so-called Jungle before he was able to be reunited with his brother in the UK. He leaves behind him hundreds of other children who are still waiting. Unicef UK is calling on the UK Government to take urgent action to reunite refugee children like Bilal with their families in the UK, by speeding up existing family reunion procedures, and widening existing laws to allow children to be reunited with extended family. If the Home Office had 10 more officials working to reunite families, all of the 157 children stuck in Calais could be living safely with their families in the UK in time to start school in September. Unicef UK Deputy Executive Director Lily Caprani said: "The Government has said that unaccompanied children should be brought to the UK if they have family here, yet these children’s cases are moving far too slowly. It’s time for the Government to turn its promise into a reality now, and get these children to their families.